Has a serene extract that inhibits hair loss. 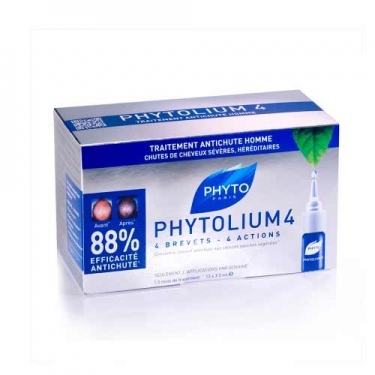 DESCRIPTION: Phytolium 4 Traitment Anti-Chute H from Phyto is an anti-hair loss concentrate for man that protects the follicular cells, conjugating four different actions: it blocks the fall; accelerates growth; it densifies the hair mass and prolongs the life of the hair. Its action regenerates the hair root, favoring its growth, while improving the intercellular exchange for a more dense and vigorous growth. Its formula strengthens the defenses of the hair and delays the fall, prolonging its life time. 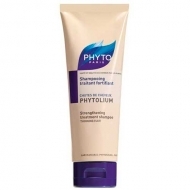 Its formula, with serene extract regenerates the scalp and inhibits hair loss. Solanum glycoproteins promote growth and tone the hair. Contains grape procyanidins and cananga essential oil, which protect the tissues around the hair bulb and facilitate intercellular exchange, for a more dense and vigorous growth. Capicellpro increases capillary survival and delays hair senescence, prolonging the life span of the hair. Renew treatment twice a year.